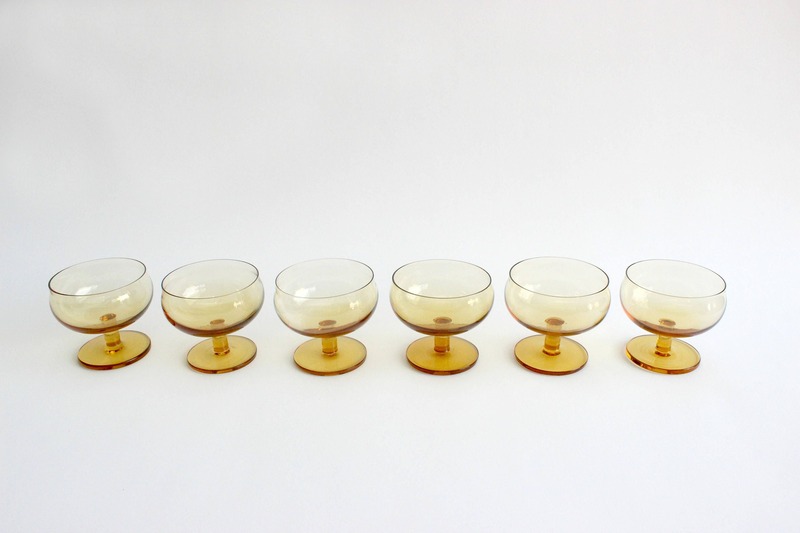 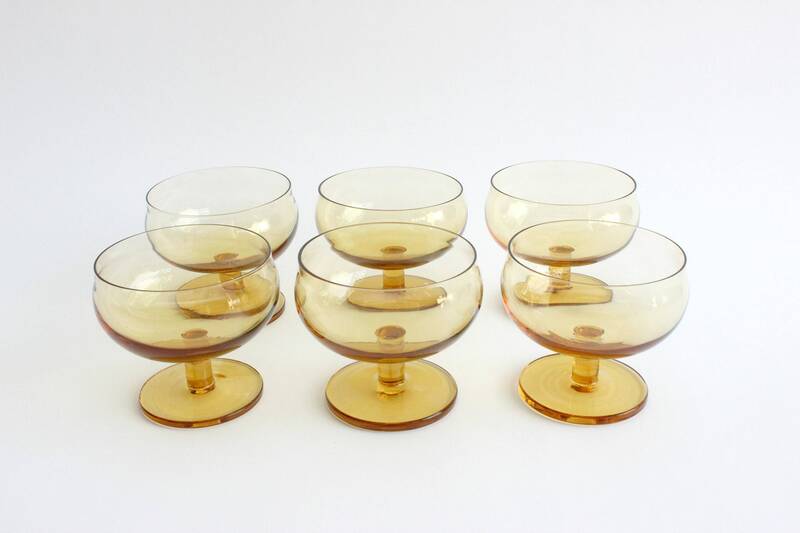 Beautiful set of 6 - Amber glass ice cream dishes. 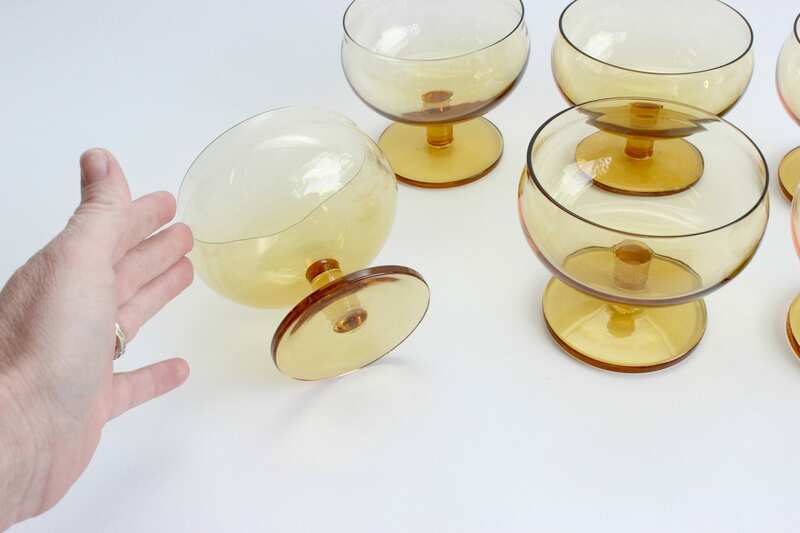 These small mid century modern serving bowls are perfect for an individual serving of yogurt, ice cream or fresh fruit. 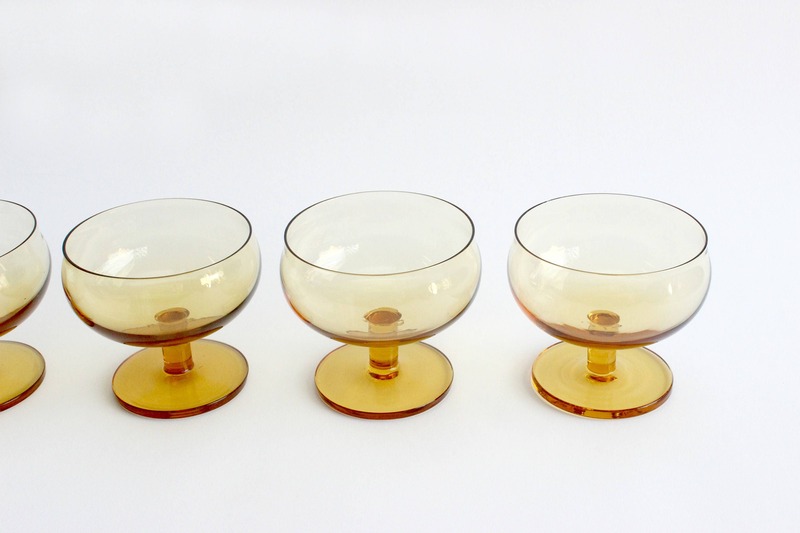 Short pedestal style bowls, light yellow in color. 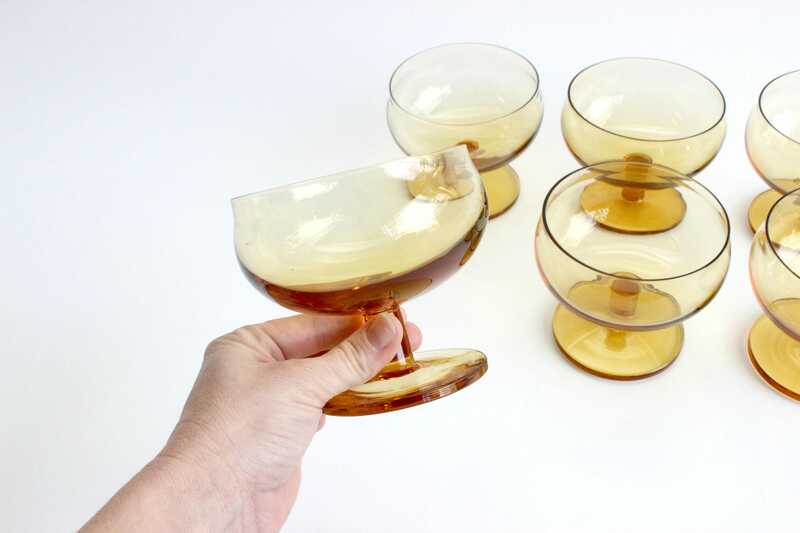 Each glass measures 4 inches across and 3.75 inches tall.